Register now using the Promo Code and get a 30 GBP Bonus. Place a 10 GBP bet and get the welcome Bonus! 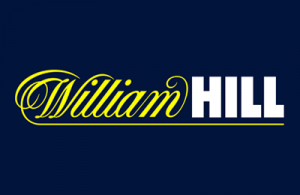 William Hill is one of the largest offline and online brands in the UK. Every week gives players more than 500,000 betting opportunities on a weekly basis. The online offerings are top-of-the-line, making William Hill a top 3 European bookmaker. To enhance what the company has to offer, there’s also a mobile app that puts William Hill’s vast world of online betting at the fingertips of everyone who wishes to test their luck. The William Hill app also gives customers access to promotions, such as the bet 10 GBP and get 30 GBP in free bets welcome offer. This is quite a massive platform that is chock full of opportunities for all levels of sports betting enthusiasts. There are no special promotions for mobile users, as mobile users are able to take advantage of the same promotions as the customers placing bets using their desktop computers. This means that customers playing using the Android or iOS apps can take advantage of the welcome offer and get the 30 GBP after making the 10 GBP bet. Just as desktop users must, mobile users will enter the C30 promo code when prompted during the registration process. As for the app features, customers can watch live matches, cash in bets, and take advantage of the many promotions and special offers. The app is very easy to use and quite intuitive. You can completely manage your account from anywhere if you are connected to the internet. To download the William Hill app, you will need to download the Android application from the website or download the iOS app from the Apple App Store. If downloading using Android, you will have to modify your settings to allow the installation to move forward. This may involve ticking “Unknown Sources” under the Security and Application settings. The app will download to your downloads folder. Simply select the app’s file to install. This will complete the installation process and you can start using the app. Customers using the William Hill application or any platform to access the site can collect the 30 GBP offer after placing a 10 GBP bet. This offer can’t be combined with others. Once you have the free bets, there are no complicated wagering requirements that must be met so you can cash out your winnings. You simply can’t cash out the bonus amount itself. Any winnings are automatically credited to your main balance so you can withdraw the cash or use it to wager in a non-promotion bet. To receive the William Hill promotional offer, you must enter the code C30 in the promo code field during the registration process. This tells the system that you are to receive the bonus when the conditions are met. In this case, the conditions include the betting of at least 10 GBP on an event with odds of 1.5 or greater. This code is valid until 31/12/2018. You can go to the William Hill website to find a direct link to the Apple App Store for the iOS download. In the App Store, you will click download and the app will automatically download to your device. The Android download is somewhat more complicated because the app isn’t on Google Play. Simply click the download button for the app to be downloaded to the downloads folder on your device. You may have to tick the “unknown sources” box under the Security or Application Settings of the device to allow the download to go through. You can register for an account before you download the app or you can register from the app after it is downloaded and opened on the device. When registering, provide the requested information, which includes personal and location information. Make sure you enter the C30 promotion code in the designated box so you will receive the promotion when it’s time. Make an initial deposit using Visa, Instadebit, iDebit, bank transfer, EntroPay, EcoPayz, Euteller, or any of the other qualifying payment method. You will not receive the bonus if you make your deposit using Neteller, Skrill, Skrill 1-Tap or Plus, PayPal, PaySafe, or Envoy. Once your deposit is in your account, you are ready to play. To activate the bonus, simply place a bet of 10 GBP on an event with odds of 1.5 or greater. The free 30 GBP in bets will appear in your account after the first bet settles. You have 30 days to wager your free bets. There are many promotions available to William Hill customers. Examples of some of those promotions include Acca 5 insurance, bet boosts, enhanced odds, free bet bonuses, horse racing and greyhound racing promotions, football free bet bonuses, extra places on horse racing, super odds, and the ability to watch live US racing and greyhounds for free. Mobile users can take advantage of these offers and much more. Most offers can’t be combined with one another unless specified by William Hill. There are nearly 30 payment methods that can be used to deposit money into your William Hill sports betting account. However, all methods but Skrill 1-Tap or Plus, Skrill, Neteller, PayPal, Envoy, and PaySafe are eligible for the promotion. Every payment method is instant except bank transfer, which can take up to 5 days to deposit money into your William Hill account. When you’re ready to cash out, there are only 10 methods that you can use. Those methods are Visa, Entropay, Webmoney, Neteller, PayPal, Skrill, Instadebit, iDebit, EcoPayz, and bank transfer. There is a 4-day pending period before the withdrawal request is processed. It takes one day for the payment to process and an additional day to up to 7 days to appear in your account. Credit card and Entropay can take up to 7 days. Bank transfer can take up to five days. All other methods take as little as one day but no more than two. Reliable or Scam: How Safe is the William Hill App? William Hill is registered in Gibraltar and licensed and regulated by the UK Gambling Commission. It’s also licensed by the Gibraltar government and regulated by the Gibraltar Gambling Commission. Use of the app, just like the website is safe and secure due to fraud prevention methods. All regulatory obligations in regard to security have been met. As for William Hill itself, it has been around since 1903. There are more than 2,300 street shops that go along with the very vast online offering. As a top 3 in Europe, it’s fair to have high expectations. William Hill also offers gambling addiction resources to help people who may be dealing with the problem. There are parental controls, ways to restrict the account, and guides on how to manage online gambling. All in all, the William Hill app is everything you should want in a sports betting app and more. Manage your account while on holiday or while enjoying a meal break at work. You can wager, cash out, watch live matches, and much more in the palm of your hand. You shouldn’t expect anything less from one of the top bookmakers in Europe, not to mention one of the oldest ones in the world. It’s all about convenience while having fun and that’s precisely what William Hill accomplishes through their app and the entire platform in general. The bookmaker’s experience certainly comes through. How do I get the William Hill app? Go to the William Hill website and click the Apple App Store icon to download the app for your iOS device or click the “download” button for Android. The iOS app will download automatically. However, an Android device may require “Unknown Sources” to be ticked in the Application or Security Settings. The Android app will also download to your downloads folder, so you must tap the app file to complete the download process. Do I need a William Hill promo code? Yes, you must enter C30 in the promotional code field during the registration process so the promotion will be applied to your account after you make your initial 10 GBP bet on an event with odds of 1.5 or greater. Is there a mobile William Hill Promo Code? There isn’t a specific mobile promo code. Simply use the C30 code when registering via mobile to receive the Welcome offer.